Trolling for trash in the gutter. Politics as usual. Q Again, when this controversy came up 10 years ago, the then Bush-Quayle campaign, on October 15, 1992, put out a press release saying that because of the controversy and the questions, that Governor Clinton should release all documents relating to his draft status, and went on to list letters to the Selective Service system, to the Reserve Officer Training Corps, the Army, the Navy, the Air Force, the Marines, the Coast Guard, the Departments of State and Justice, any foreign embassy or consulate. Was that a fair standard? MR. McCLELLAN: This is 2004, I would remind you. But let me point out to you that the issue that was before us was whether or not the President had served. There had been some who made an outrageous accusation that the President was AWOL, or that he was a deserter. Just outrageous and baseless accusations. And there was a call for more documents to be released, specifically payroll records. We didn’t know that they previously existed still. But we found out that they did, and we provided that documentation. That documentation clearly shows that the President fulfilled his duties. I think what you’re seeing now is that some are not interested in the facts. Some are more interested in trolling for trash for political gain. And that’s just unfortunate that we’re seeing that this early in an election year. This is nothing but gutter politics. The American people deserve better. We are facing great challenges in this nation, and the President is focused on acting decisively to meet those challenges. Instead of talking about the choices we face in addressing our highest priorities, some are simply trolling for trash for political gain. The American people deserve better. The American people deserve an honest debate about the choices we face. The American people deserve an honest discussion about the type of leadership their Commander-in-Chief is providing in a time of war, at a time when we are confronting dangerous new threats. I began this briefing by talking about the importance of confronting the spread of weapons of mass destruction, about the importance of stopping the spread of weapons of mass destruction. This President, from very early on in his administration, has made it a high priority to confront the dangerous new threats we face in this day and age. These are threats that did not come to us overnight. But September 11th taught us that we must confront these threats. Let’s have an honest discussion about the type of leadership people are providing to confront those threats. That’s what the American people deserve. This is Scott trying to change the subject because 9/11 changed everything. Q On “Meet the Press,” the President was asked, “When allegations were made about John McCain or Wesley Clark on their military records, they opened up their entire files. Would you agree to do that?” And the President replied, “Yeah.” Is that still your position? MR. McCLELLAN: The President — the specific question was about service, whether or not he had served in the military, if you go back to look at the context of the discussion. And the President said, if we have them, we’ll release them, relating to that issue. We have released what additional documents came to our attention. Q No, no. Following up on his question, since we’re quoting people. In 1992, John Kerry stood on the Senate floor and said, “I am saddened by the fact that Vietnam has yet again been inserting into the campaign and that it has been inserted in what I feel to be the worst possible way.” And he went on to say later on, “We do not need to divide America over who served and how.” Are you going — is this White House and this candidate, President Bush, going to hold him to those remarks and put an end to this now? Q — likely challenger to be the end of this all? MR. McCLELLAN: There’s going to be plenty of time to talk about the choices we face and the statements people have made. The President certainly is someone who does what he says he is going to do and someone who means what he says. And I think that’s reflected in the actions he takes. Q Is he offended by the accusations and insinuations from people who have never served in the military? And especially from leaders of a party who nominated a candidate in 1992 and 1996 that avoided military service altogether? MR. McCLELLAN: I would just say, again, that it is sad to see some stoop to this level, to say anything or try to do anything for political gain. The American people deserve better. MR. McCLELLAN: I think this was all addressed previously. I think that, again, this goes to show that some are not interested in the facts of whether or not he served; they’re interested in trolling for trash and using this issue for partisan political gain. Q What was the answer previous to this? MR. McCLELLAN: What’s the question? Q But you were suggesting you’d answered the question previously. MR. McCLELLAN: — to address the priorities for the American people. We went through this in 1994, I believe again in ’98, 2000. Now some are trying to bring it up again in 2004. Q Scott, can I ask, in 2004, just again, why did the President miss his physical? Q Why did the President miss his physical? MR. McCLELLAN: Are you talking about when he — whether or not he — I put out a response to that question yesterday, about whether or not he was rated by his commanders as a pilot. Q — why he missed his physical? MR. McCLELLAN: Elisabeth, there are some that — again, this is a question of whether or not he served. That question has been answered through the documents that were released yesterday, and released previously. Q How is asking that question engaging in gutter politics? MR. McCLELLAN: But I think the American people — I think the American people deserve better. Q Scott, how does that engage in gutter politics if I ask that question? Q — the answer to that question today? MR. McCLELLAN: No, we went through these — no, we went — we’ve already addressed this issue. We went through it previously. We went through it four years ago, for sure. 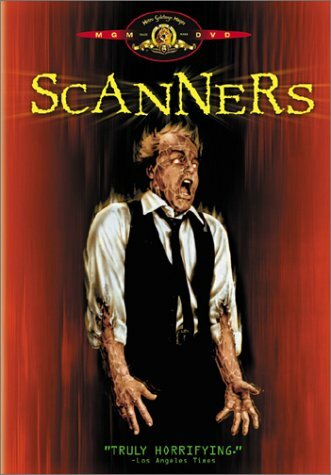 By this time McClellan’s head is bulging like that guy in Scanners, and so the press let’s him off the hook…for now.